This is similar to the common resin used for boats and on roofs but it is a higher grade because it is water clear. It has the same refractive index as glass. 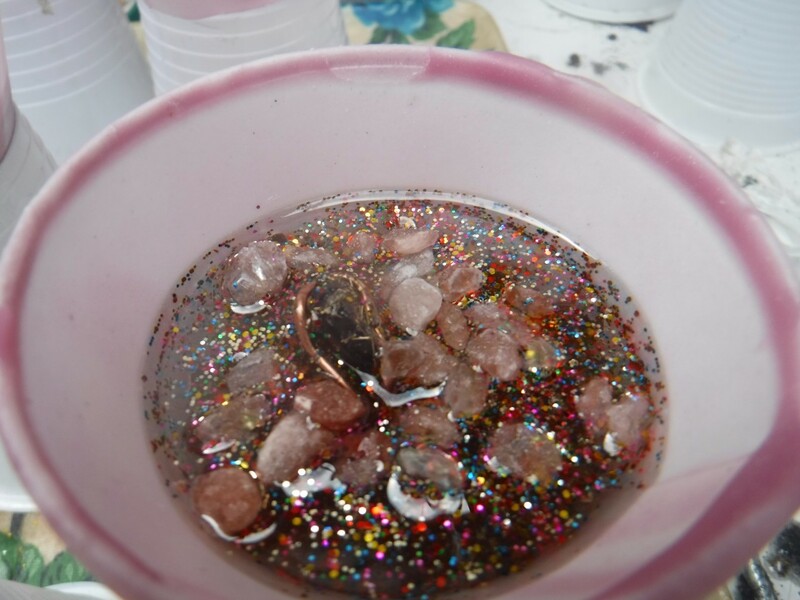 For the first pour we put colored glitter into the cone mold then sink the crystal. When this has set, more resin, new color, pink salt, coils or other visible trinkets. When that level has set a thick layer of brass shavings. Then a layer of steel powder, and black iron oxide. When resin cures it gets hot which can cause it to crack, so it is better make many small pours. Resin and plastic are carbon based, like us, and so will attract Ether. Here is a video about Ether Energy Devices.